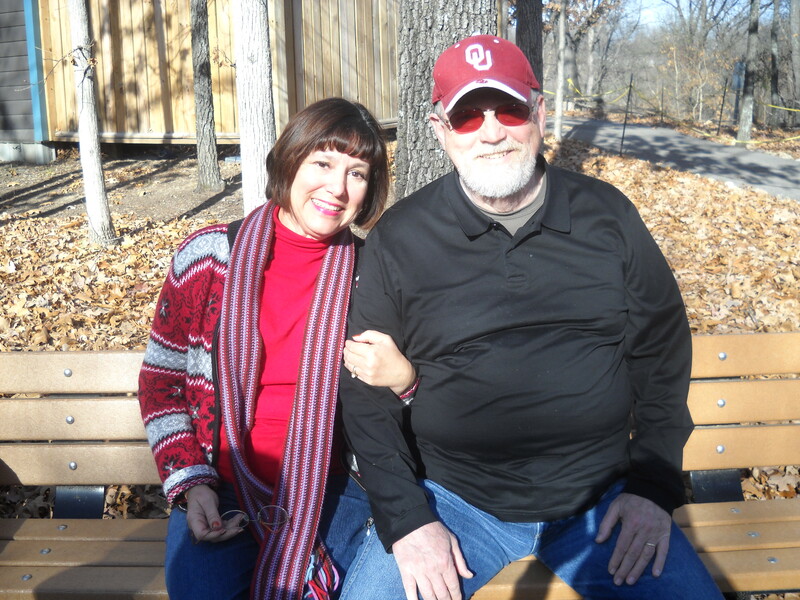 It’s been six months since my husband was suddenly gone in a car accident last February. Only six months, yet, a lifetime. The surreal first month, caught in a flurry of details and rituals. The memorial service panorama of faces across a thirty-six year marriage passing before me in one afternoon…. Carrying a box of ashes to a droughty cemetery in Norman, Oklahoma. Leaving them on the desk of a friendly, Okie-speak girl for later burial in his parents’ plot. I kept waiting to see my phone ringing showing “husband” and I’d tell him all about it. The weeks back home in California melted into tasks accomplished–sending death certificates, a new trust drawn up, closets cleaned, home repairs. Long, quiet nights. Emotion held at bay until a witching hour visit last month. Supposedly between 4 and 5 o’clock in the morning our spirit selves can make contact with the other side. There have been similar “dreams” where I’m lying in my bed, asleep and yet aware. I can see and hear a normally unseen dimension around me. One night I heard a grand party going on and a man stood next to my bed playing a saxophone. As I awakened to complete consciousness, he disappeared; the music faded. Last January my dear friend, Jeanie, appeared a week after she’d passed over. Her grandson sat on the foot of my bed as she spoke lovingly to me to say goodbye. The visitation/dream from my husband, David, came five months after he got confused driving in road construction along I-35, hit a cone, spun into a concrete wall and was then broadsided by a van. He looked at me over his shoulder and smiled. I got the impression he could do special things in this spirit dimension, even conjure up a sink. He stepped to the bed and slipped between the covers with me. After months of solitary sleeping, the intense joy of feeling my husband next me was beyond description. Our arms joined like, two halves of whole fitting together. His face was bathed in a golden glow. He looked 35 again. The handsome guy I married. “You look good,” I said. An image played in my mind of his spirit body seeing the aftermath of his accident, the chaos and destruction. He watched helplessly, irritated with himself for making an irrevocable error of judgment. Until that moment, I’d pictured him going to the light, surrounded by angels walking into a pink sunset. A Hollywood ending. Maybe that came later. In our bed, I felt the regret and the longing and the last goodbye. He stretched out over me. So wonderful, so right, so fleeting. My arms gathered across his back and held on as long as it would last. I knew it wasn’t real and yet it was utterly real. As the rays of sunlight rose above the horizon, he dissolved in my arms. I came to full consciousness, flat on my back, tears trailing into my hair. I lay there two more hours, flummoxed, gob-smocked. A true period of grief began. Sadness, weeping spells. Also, came the grace. A prophetic friend living hundreds of miles away sent me a “word from the Lord.” My pain was not unnoticed…. A wonderful healer gave me a full body massage and therapy session… I took a class in sound therapy and received a whole array of healing frequencies from bells, singing bowls, tuning forks and Reiki…. My Supernal friend, Sue, administered a healing energy treatment to heal regret. After thirty-six years, there were regrets. I was focusing on the lost opportunities and missed moments. The healers helped me turn from regret, move toward gratitude and remember the happy times. I needed to be grateful for the family we created–first, two fabulous daughters and now two wonderful grand kids and the joyful anticipation of the next one next in February. Yes, a year from David’s departure, we will be welcoming our younger daughter’s first child into our lives. It seems only appropriate to end this with a passage from the Bible, the book that held my husband’s constant fascination and guided his life. Thankyou so much for your sharing.My husband of 34years also died from an auto accident 5 years ago in Jan. 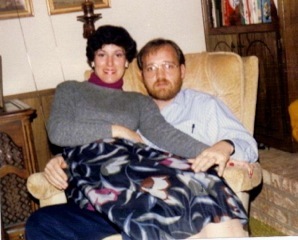 He had the accident 2 days before my 60th birthday,then lingered 3 more weeks.I was numb for the 1st year,then my feelings began returning.I still have weepy periods during certain days of the year and sometimes,just out of the blue.It’s ok.I lived with family the 4 years after but am now on my own.It’s been very good for me now.Friends try “matchmaking” but I am very happy alone. I live alone but I’m not ALONE. I now have 2 little dogs and many new friends.I loved reading the Psalm and have put it where I can see it every new day.